CHICAGO & SEATTLE--(BUSINESS WIRE)--Empower Clinics Inc. (CSE: EPW; FRA: 8EC), a leading owner and operator of medical cannabis and wellness clinics in the US, today announced that it has established a new clinic in downtown Chicago, as part of the company’s national expansion. This follows the late August signature of a statewide measure by Illinois’ governor to expand access to medical cannabis as an alternative for opioid painkillers. Located in downtown Chicago at 160 N. Upper Wacker Drive, the clinic is slated to open on September 24 and be staffed by licensed medical professionals and support personnel. Empower Clinics offers a variety of physician-guided treatments to address a multitude of chronic pain conditions, as well as anxiety, Post Traumatic Stress Disorder (PTSD) and chemotherapy side effects. The company’s branded line of CBD products will also be available through the clinic. Empower’s “Sollievo” (Italian for “relief”) products have been developed to specifically target the most common qualifying conditions, including pain, sleep disorders, stress, and digestive issues. The products, available as tinctures or topical creams, are non-THC CBD, meaning that they are non-psychotropic: they do not directly affect mood, perception, or consciousness. The new Illinois measure, signed into law by Governor Bruce Rauner on August 28, enables doctors to prescribe medical cannabis to any patients who qualify for prescriptions to opioids such as Vicodin, OxyContin, or Percocet. According to the Chicago Tribune, the measure is a response to the epidemic of overdose deaths from narcotics, which killed nearly 2,000 people in Illinois in 2016 and 72,000 people nationwide. Effective immediately, no qualifying applicants have to undergo fingerprinting or criminal background checks. Patients who complete an online application with a doctor’s authorization will receive provisional registration to purchase medical cannabis while they wait for state officials to conduct final reviews of their requests. According to Snyder, Empower plans to aggressively expand its national footprint to include clinics in multiple other states, complementing its clinic locations throughout Oregon and Washington, as well the new Chicago office. 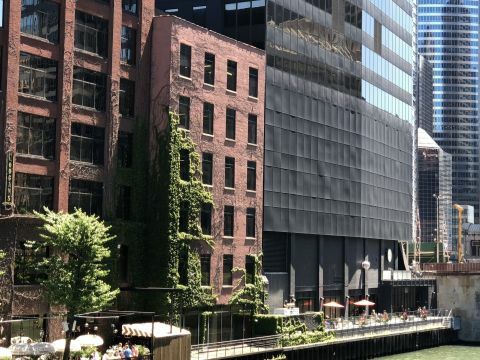 The company also intends to feature chiropractic, massage, nutrition, integrative medicine and other complimentary medical/wellness services at the new Chicago office, providing patients access to multiple healthcare offerings. Certain statements included in this press release constitute forward-looking information or statements (collectively, “forward-looking statements”), including those identified by the expressions “anticipate”, “believe”, “plan”, “estimate”, “expect”, “intend”, “may”, “should” and similar expressions to the extent they relate to the Company or its management. Forward-looking information contained in this news release includes, but is not limited to, the delisting of the Common Shares from the TSXV, the listing of the Common Shares on the CSE and the future growth plans of the Company. The forward-looking statements are not historical facts but reflect current expectations regarding future results or events and are therefore based on current expectations and various estimates, factors and assumptions and involve known and unknown risks, uncertainties and other factors. Neither the TSXV, the CSE nor their Regulation Services Provider (as that term is defined in the policies of the TSXV) accepts responsibility for the adequacy or accuracy of this release. Empower Clinics, an owner and operator of medical cannabis and wellness clinics, today announced a new Chicago clinic.